Not me, but I’m always baffled by the obsession of some people on plastic surgery. I’ve read before an article explaining that when you especially have extra money (translation: quite a significant amount) to spare, plastic surgery tends to get too addicting. A few minor operation here and there will lead up to a chain of unstoppable obsession. Unrecognizable! 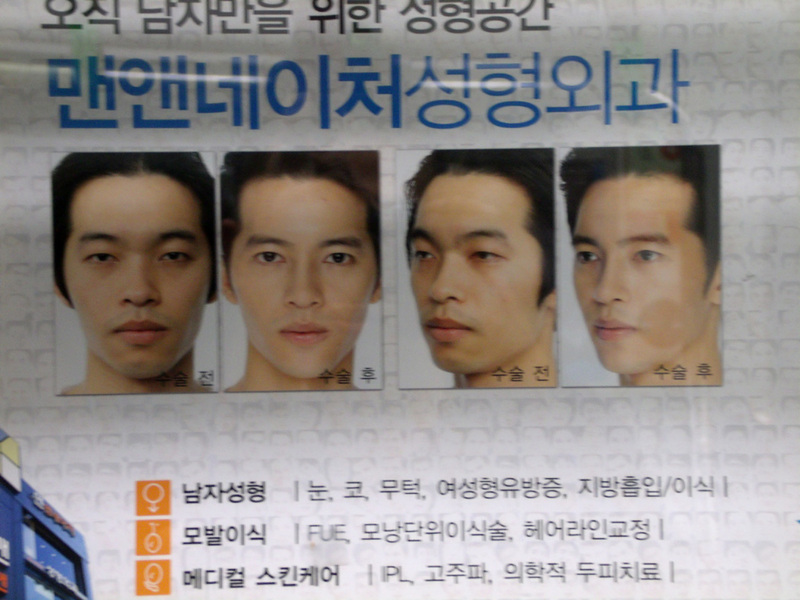 The power of plastic surgery in Seoul! 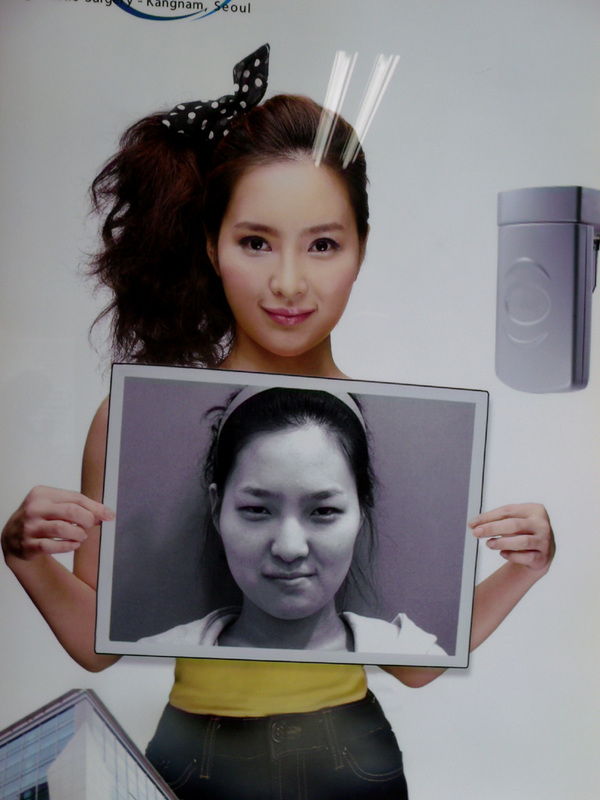 I know that South Korea, like Thailand and Japan, is big on the plastic surgery. I have no idea on how blatant commercials like these are in those two countries, but it was smacking us everywhere in Seoul. When we got lost looking for SM Entertainment’s headquarters, we found our way into this plastic surgery heaven in Apgujeong — clinics in every corner. Here in the Philippines, advertisements concerning plastic surgery focus more on ‘enhancement’, which is pretty much a euphemism for ‘overhauling’. You can still recognize the endorser in the ‘before’ and ‘after’ picture. But from what we saw in Seoul, the philosophy is “if you want to sell it, show it hard”. After this experience, I take everything I see on the Korean entertainment scene, particularly K-Pop with a grain of salt — make it a handful. I must admit that I used to be very intimidated, but a dose of sanity through these advertisements opened my eyes. Panorama shot of Seoul from Seoul Tower! Previous Article← Scratch-proof and weather-proof: vintage Mulberry scotchgrain!